The world is only just starting to wake up to the potential of distributed ledger technologies and the broad benefits of tokenized assets. However, 2019 may end up being a tipping point for the adoption of digital asset trading. Some examples: Individual investors can now buy tokens that are one hundred percent backed by real-world diamonds. A development fund supporting ethical hydrocarbon resources in Southern Africa is launching based on digital tokens. The nations of Switzerland and Liechtenstein are both creating crypto asset exchanges targeted to professional and institutional investors, to ease the process of trading in asset-backed tokens. Despite these developments in adoption, there are still challenges for organizations looking to leverage the benefits of tokenization for themselves. First is that they need expert advice to identify if blockchain technology can solve their challenges in a certain business area. If it can solve the problems, then they need the technological know-how to develop the system. Developing a blockchain-based solution in-house can be prohibitively expensive and time consuming. Associated services and infrastructure should be in place to support the whole tokenization process, such as digital asset documentation, KYC process, and legal compliance. This poses a big challenge to organizations to adopt blockchain technology and improve business performance. There is now a solution. CoreLedger’s Token Economy Operating System (TEOS) is an enterprise-grade infrastructure which supports both permissioned and permissionless blockchains. TEOS has been built to address the asset tokenization needs of large-scale enterprises or new businesses, providing robust and highly customizable solutions for the creation and deployment of blockchain-based business processes. Enterprises can tokenize, document and trade their digital assets through TEOS with their own preferred user interface, startups can accelerate product development through TEOS. Our team of technical blockchain experts can guide clients through the implementation of almost any business process as a token transaction. 2019 is the year Liechtenstein celebrates its 300-year birthday, with a series of events planned throughout the whole year. 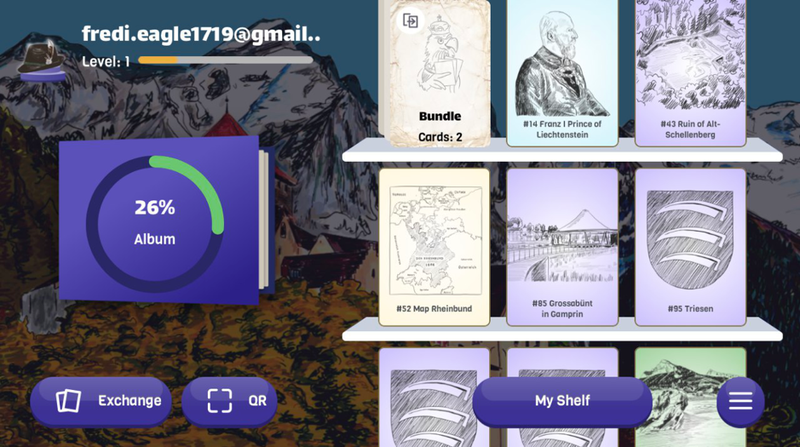 To celebrate the anniversary and increase awareness of the history and culture of Liechtenstein, a local company called TRIOB has developed a blockchain-based mobile game, BD300, using CoreLedger’s Token Economy Operating System. The game is running on SparkNet, a permissionless POA (Proof of Authority) chain having its validators in Liechtenstein and Switzerland, in order to ensure transactions run smoothly and swiftly. The aim of the game is to collect all 300 different digital cards and complete the album. 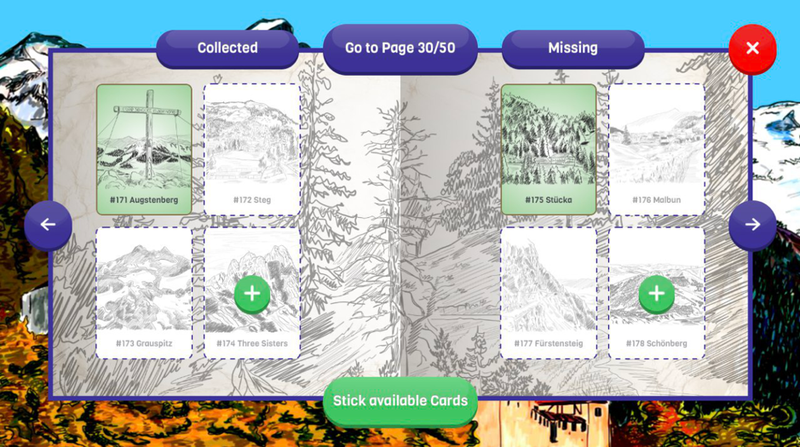 Each card contains either a picture of a famous person or a historical site in Liechtenstein or an important event, each with a story attached. 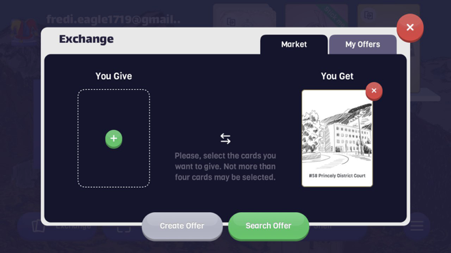 Players can collect the cards by purchasing packages, or scanning QR codes which are spread across various locations within Liechtenstein. When the player has duplicate cards, he or she can offer the selected cards for trade. If other people have cards to trade in the ‘market’, the system will match and suggest the trade option to the user. This feature goes beyond a simple one-to-one trade. The illustration below shows the unique functionality of the CoreLedger-WARP, a multi-party settlement functionality. Even though there is no direct one-to-one supply and demand, the system can search all the digital assets in the network and make a trade sequence. All trades happen simultaneously and atomically. The sequence can span dozens of individual one-to-one trades, basically as many as it takes to match demand and supply. The way the game works is comparable to a peer-to-peer market. The cards are tokenized digital assets, and the so-called “shelf” with all the players’ cards is the digital wallet. The trades among players work in the same way as trades between users in a decentralized marketplace without a market-maker or intermediary. All additional features of CoreLedger are included in this system. BD300’s model can be used for any collectibles, opening up opportunities for many new or existing businesses to adopt blockchain. TEOS can support many applications and business models, not only in the form of mobile games, but also in the area of high-value data transfer. Ambitorio is a startup providing a high-value data transfer service, and its product also integrates CoreLedger’s TEOS. For lawyers, digital property right owners, patients and so many others, data privacy and security are extremely important. In the era of advanced computing capabilities, data is hacked, information is lost, and digital property rights are infringed. To solve the problem of data security in the transfer process from party A to party B, Ambitorio has developed an end-to-end data transfer service in which no party other than A and B can see the data. All information is encrypted before being transferred and decrypted at the receiving end. The process takes place on the blockchain, which records the entire journey of the data. Blockchain records ensure transparency towards which address received the data, which address deleted the data, and all other actions related to the data. The senders can track what happens to their data, if the right address has received it or if the granted address make changes to the data. In the event of data leaks, companies can easily narrow down to the group of recipients who have read the data. Through current process, digital information is lost or leaked without a trace of origin. Using blockchain in this way guarantees transparency, but also the finality of transactions. For digital copyright owners, they can now issue usage rights to others through the Ambitorio platform. The right to read the data is issued in the form of a digital token. By configuring the token, rights holders can control who, when, and how many times the receiver can use the data. Another area of application for Ambitorio technology is 3D printing. 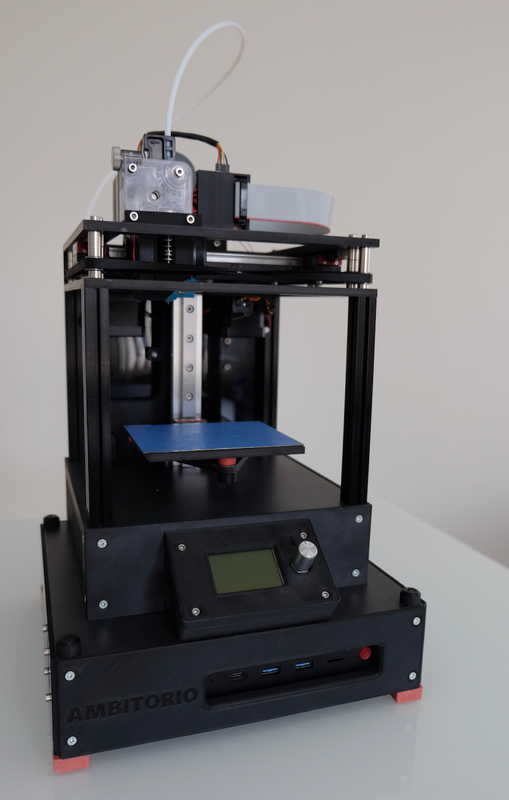 Ambitorio enables 3D printers to receive the printing data and print objects automatically based on digital tokens. Only the designated printer can process the printing file — the file will not go through the hands of any individual person. The below picture shows a computer Ambitorio built for 3D printers, which allows the machine to receive data automatically — authorized by a token, to decrypt it, and print the object. The use cases of this service go beyond 3D printing and data transfer; it’s a whole new solution to data security during transfer. Through CoreLedger’s TEOS, Ambitorio has built a groundbreaking service. The advantage of this model is — once again — a fully decentralized market, where data owners do not have to rely on intermediaries and can directly send information — peer-to-peer — in a secure way to desired recipients, such as to 3D printers in the above example or to any kind of data processing unit. Another totally different business using TEOS is in facility booking and crowdfunding the facilities. In the new token economy, investors can benefit immediately from their investment tokens, users can benefit immediately from their parking tokens. This is a completely new model to support new businesses and benefit investors with a real-world use case. 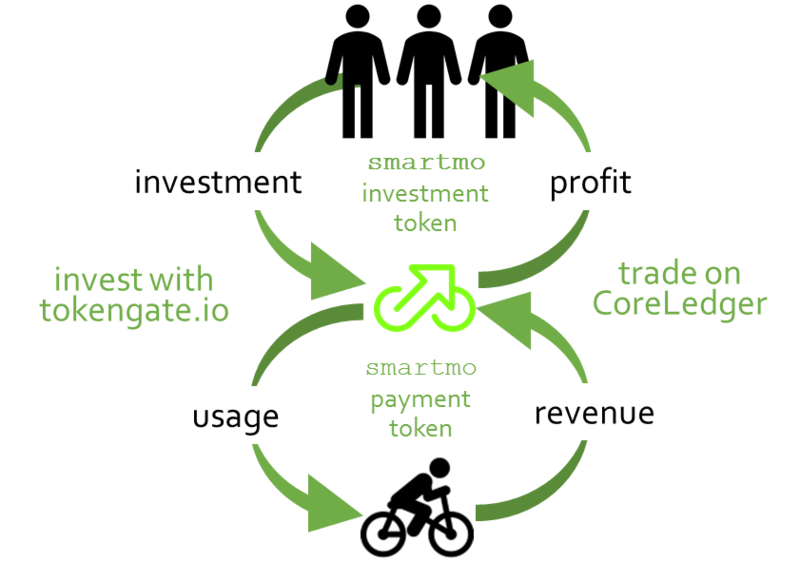 Smartmo is more than bicycle parking facilities. It can be used in hotel room booking, real estate rental, office meeting room, car parking and so much more. As long as there is a usage fee involved, a physical equipment is needed, this model can be implemented. Above all, this investment model is powered by CoreLedger’s Token Economy Operating System. These are just three of many possible business models made possible by TEOS. Asset-backed tokens could also be used in supply chain management, market creation for fractional ownership of assets such as art or real estate, and for crowd financing new business ventures. 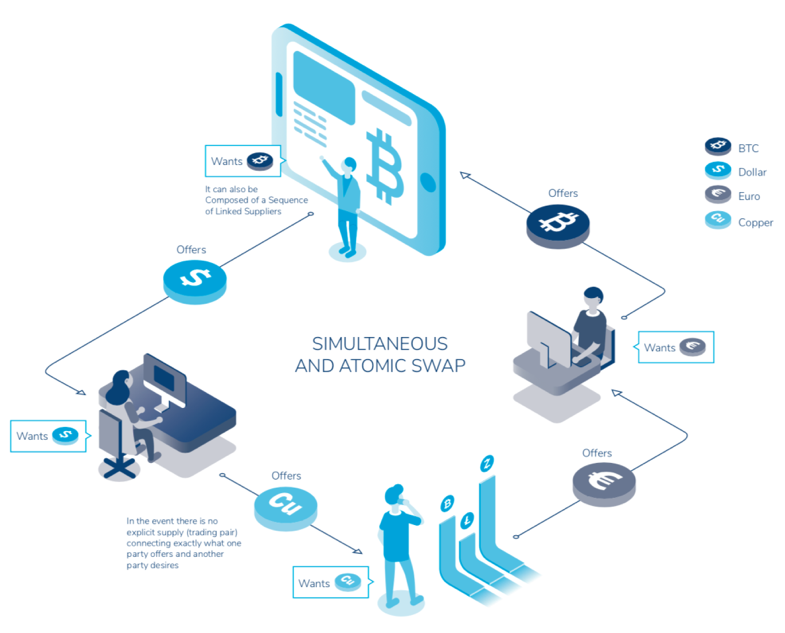 TEOS provides the flexibility of a customizable platform together with an assurance of full data ownership and atomic transactions, delivered by a team of experts. It offers existing and new businesses the opportunity to leverage the many benefits of tokenization, without the cost and time investment of an in-house deployment. This article is brought to you by CoreLedger. As a prominent blockchain infrastructure provider, CoreLedger is making blockchain technology simple for businesses to use. With CoreLedger’s offerings, clients can readily tokenize their offerings with fast-to-implement resources that will allow them to modernize their services. Thanks to our in-house developed software solutions and experienced blockchain specialists, CoreLedger is ready to help you make your next move with blockchain technology.